Cornucopia Events™ is delighted to be able to offer a unique lifetime experience with Garry where you can discuss all things chess and learn about some of the most sophisticated moves in the game. 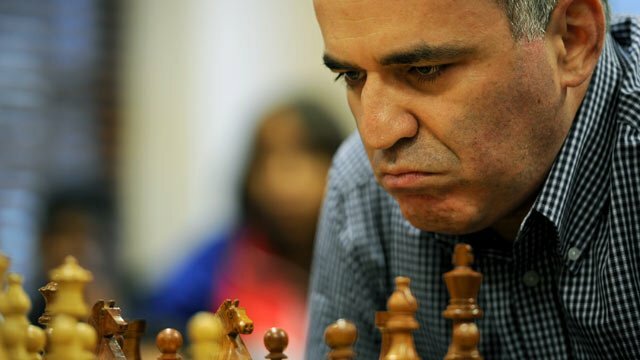 Garry Kimovich Kasparov is a Russian (formerly Soviet) chess Grandmaster, former World Chess Champion, writer, and political activist, considered by many to be the greatest chess player of all time. From 1986 until his retirement in 2005, Kasparov was ranked world No. 1 for 225 out of 228 months. His peak rating of 2851, achieved in 1999, was the highest recorded until being passed by Magnus Carlsen in 2013. Kasparov also holds records for consecutive professional tournament victories and Chess Oscars. Garry has also just released his book “Winter Is Coming” so now would be the perfect time to see him. Master class evenings are informative, fun but very limited. Due to Garry’s busy schedule there are only limited dates available, where he will fly to a destination of your choice to meet you for an unforgettable evening to discuss all things chess, as well as other worldly topics. Packages priced at £49,999 plus 5 star accommodation and (minimum) business class flights.